Get connected to our church—learn how we follow Christ and the mission He has given us in this 90-minute class during our 11am service. This happens every month and will give you a deeper look at what we believe and what Harvest is all about! We encourage parents to bring their children before the Lord in the presence of the church community to publicly declare the intent to raise your children according to the Bible and teach them the Gospel of Jesus. 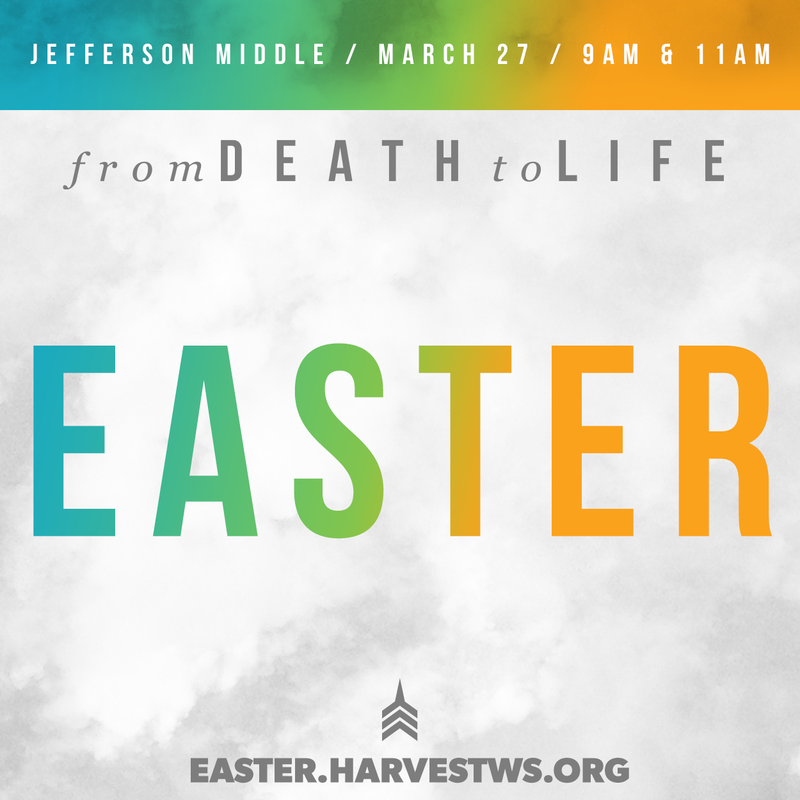 We will be limited in how many families can participate in each service. Please list your available times and indicate your preferred service. If we run out of room for this date, we have other dates available this year. Harvest Bible Chapel Winston-Salem is part of a larger network of churches joined together through Harvest Bible Fellowship. Harvest Bible Fellowship is an independent, non-profit organization whose purpose is to plant churches and build relationships among church leaders that edify, protect, encourage and support. The Fellowship is committed to helping pastors and other church leaders fulfill their call to make, baptize, and teach followers of Jesus Christ. Furthermore, the Fellowship seeks to pour into church leaders so their work yields fruit and joy that feed heart, soul and mind. Visit harvestbiblefellowship.org to find out more. 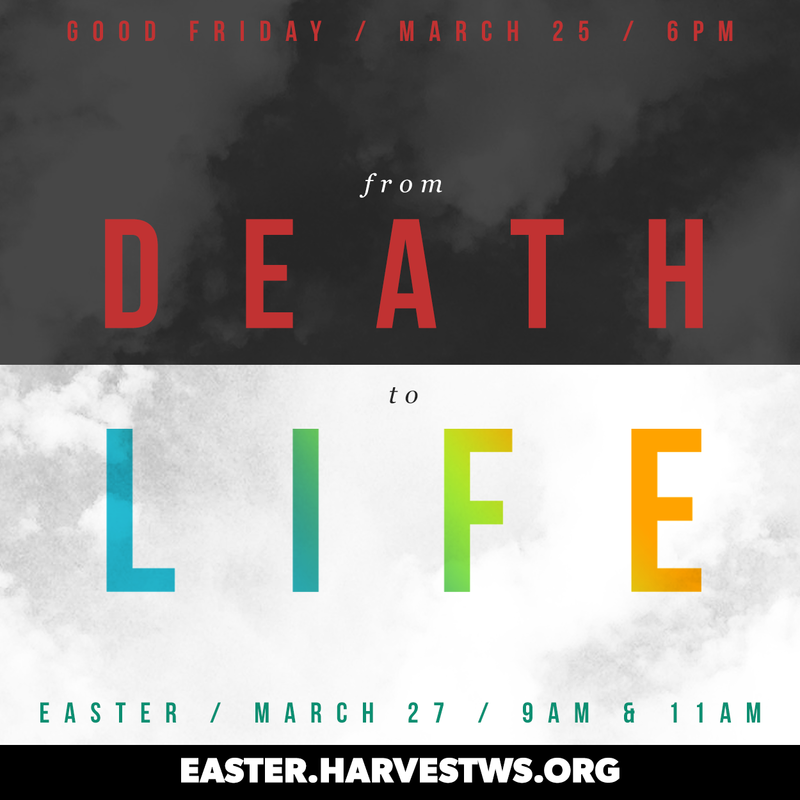 Download these promotional images and share them across your social media accounts to invite friends to Easter Weekend at Harvest. 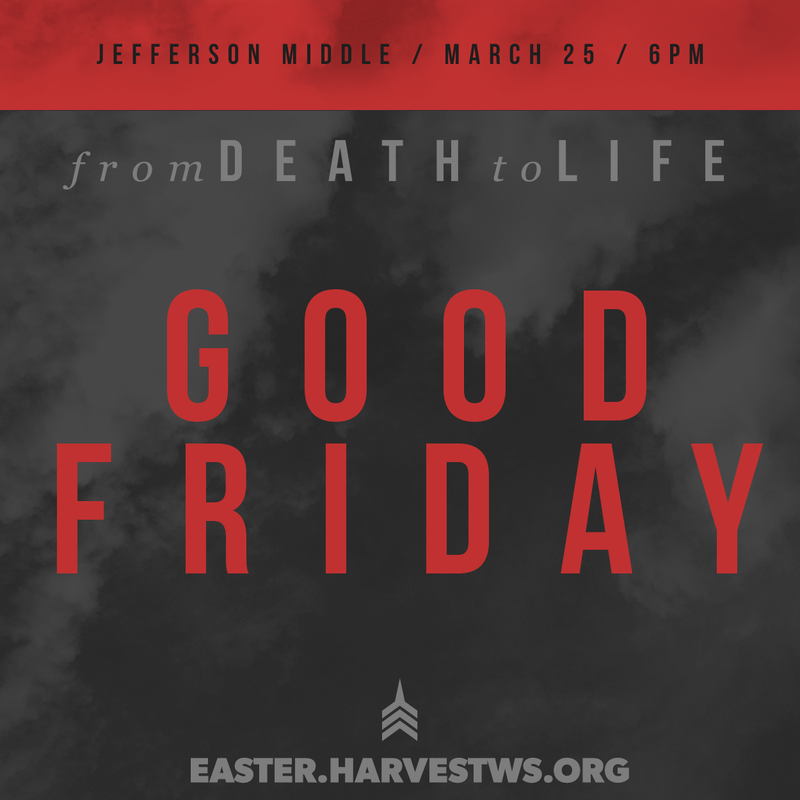 Be sure to use the hashtag #FromDeathToLifeHBC in your posts.